"How do Jesus' words and actions on the cross encourage and challenge my own forgiveness of others?" This has been a very difficult week of tragedy in the United States. People have hidden in their homes as law enforcement officers search for dangerous criminals. There have been explosions, gun fire, murders in neighborhoods and in public places. The shocking events we have seen played out on television have been in our own back yards. My heart breaks as I am reminded of the people killed in the OKC bombing and the terrorist attacks in New York on 9/11. I cry when I remember the children killed in the safety of their classrooms. People have gone crazy and are doing some evil things to others. These tragedies make me sick. We cry out for justice and rightly so. God has appointed law enforcement officers to capture and punish criminals who break our laws. "Let every soul be subject to the governing authorities. For there is no authority except from God, and the authorities that exist are appointed by God (Romans 13:1-2)." I am thankful for these men and women who sacrifice their lives as an authority from God to execute wrath on him who practices evil (Romans 13:4). Yes, I am thankful justice will be done. These tragic situations leave us with many heartbroken and hurting families, families who have lost children, spouse, and friends. Families who must continue to live in a whole new capacity. Families who are experiencing grief, pain, anger, and hatred toward the individuals who have committed the crimes against children and their families. I wonder how do these people continue forward? I believe the only hope is to look at the words of Christ upon the cross. None of us are immune to tragedy. We lose our jobs. Our children get sick and die. We are mocked and make fun of. We are judged for doing right and we are judged for doing wrong. We are betrayed by close friends and rejected by others. We allow our hearts to be vulnerable to love and we hurt deeply when things go a different direction then we hoped. We are a people living in a fallen world. How do we survive. Do we have One who can lift our heads? 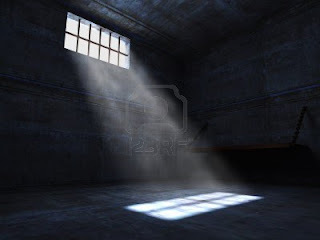 When tragedy hits in any form it leaves us in a prison. It is a prison of emotional and/or physical hurts. This prison is a cold concrete cell. We lay naked upon the concrete floor with a broken and hemorrhaging heart. The enemy stands outside the bars to throw insults and accusations toward us. We lay and look outside the walls to see others who seem to be doing evil and yet received all the blessings this world has to offer. We are jealous, angry, self-centered, and hurt. We shake our fists at God and wonder why? We strike out in our thoughts, words, and actions toward others. Where/who do we turn to when we are in prison? "Father, forgive them for they do not know what they do" This was prayed for you and me as well. Jesus is to be our example. Let us look to Him. Jesus was stripped naked. He was beaten. He was emotional abused. He was ridiculed. He was mocked. He was shunned. His possessions were gambled away. He was blasphemed. People would stop stare at the cross wagging their heads saying, "You who destroy the temple and build it in three days, save Yourself! If You are the Son of God, come down from the cross." Jesus was misunderstood. Yet, His words to the crowds, to the soldiers, to His abusers, and to us was, "Father, forgive them for they do not know what they do." Father, forgive them. Jesus is more than an example to the believer. He gives us His very life. We have the Holy Spirit, the comforter, living within us. We have the same power running through our veins that raised Christ from the dead (Eph. 1:19-20). We are not left as orphans with a list of rules to obey. Forgiveness and obedience is impossible outside of the Holy Spirit. I believe our one job as a believer is to believe/trust Christ. We have two choices as we lay in our prison cell. We can wallow in our self-pity or we cry out to God through the compassion of Christ. We are yet hopeless unless God moves in His mercy to allow us to forgive those who have sinned against us. 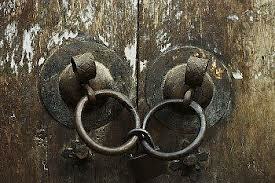 Forgiveness is the key to opening the prison gate. 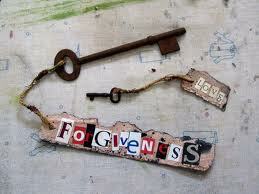 Really, forgiveness is the key to demolishing the prison walls. Forgiveness is the key to hope, peace, and healing in your heart. We need forgiveness from God and we need to extend that forgiveness to others. There is none who does good, no not one. Then Peter came to him and asked, “Lord, how often should I forgive someone who sins against me? Seven times?”22 “No, not seven times,” Jesus replied, “but seventy times seven! 23 “Therefore, the Kingdom of Heaven can be compared to a king who decided to bring his accounts up to date with servants who had borrowed money from him. 24 In the process, one of his debtors was brought in who owed him millions of dollars. 25 He couldn’t pay, so his master ordered that he be sold—along with his wife, his children, and everything he owned—to pay the debt.